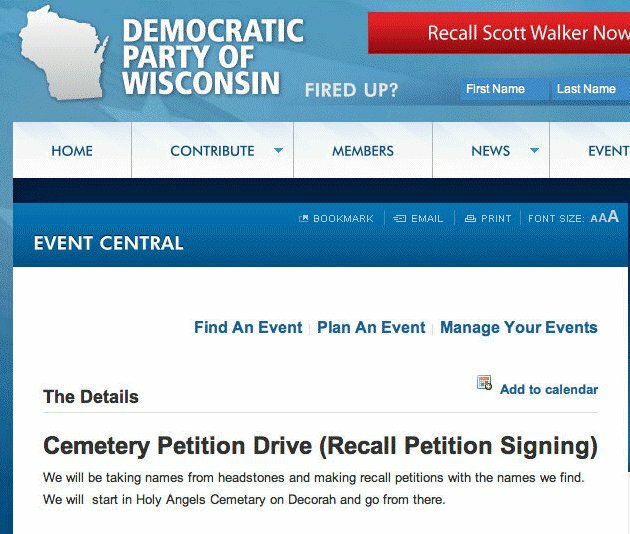 ...From the Wisconsin DNC website, via Free Republic. Having realized that the site was inadvertently made public, Wisconsin Democrats appear to have taken it offline where they will presumably spread the word via Journolist. Who knew the 'chicago way' was an entire geographic region? Any chance that the Republicans will have the balls to challenge this??? I dunno. This might be a prank.